Get up to 7 free auto shipping quotes from the largest, most trusted Delaware auto transport companies and save up to 50% on your car shipping rates at CarMoves.com. Car shipping companies in Delaware compete for your business, which is how you can save hundreds, if not thousands of dollars on car transport services by shopping with us. Whether you're shipping a car to Delaware, across the country, or even overseas, we can help you get the best price on your shipment - guaranteed! Read more about the following auto transport companies in Delaware before getting a quote. Click on the name of the company to read a full review. 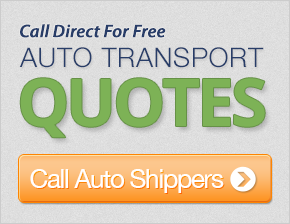 Get a free auto shipping quote today to find out how much it costs to ship a car to or from Delaware! Delaware is a small US state just south of Pennsylvania and west of New Jersey. 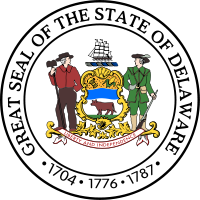 Nicknamed the "First State," Delaware was the first state in the US to ratify the Constitution. As the second smallest state in the nation, Delaware has just three counties, and does not have a huge population. However, the population that Delaware does have is tightly packed into its major cities, including Dover, Middletown, Newark and Wilmington. Local Delawareans are some of the wealthiest in the country, with the 7th highest weekly wage of any state. In particular, residents of Greenville and Henlopen Acres earn some of the highest average incomes in the country. The reasons Delaware resident are so wealthy is due to the state's varied financial base, which is stymied by the presence of numerous jobs in the banking, health care, agriculture and chemical engineering fields. Banking is particularly popular in the state, as it is known somewhat for being a tax haven for various companies as a result of the Delaware General Corporation Law. The law allows judges, not juries, to hear cases regarding the affairs of businesses, and also provides particularly lenient laws regarding interest rates for loans. Besides business, education is also a major employer in the state, as the University of Delaware has just over 4,000 administrators on its staff. Visitors to Delaware looking for a good time may be somewhat disappointed by the state's draconian liquor laws. Until 2003, Delawareans were not allowed to purchase alcohol on Sundays, and, though a recent law has changed that, residents are still only permitted to purchase alcohol from specifically licensed vendors between the hours of 9:00 am and 1:00 am. Regardless of the liquor laws, newcomers and long-time residents alike can enjoy several sports, including NASCAR, which has a large presence in the state thanks to the Dover International Speedway. This mile-long raceway, nicknamed the "Monster Mile," is right next to Dover Downs, a hotel, casino, and harness racing track that forms one of the biggest entertainment venues in the entire state. Like all other states, Delaware also has its fair share of festivals, including the Delaware State Fair, the Big August Quarterly, the Clifford Brown Jazz Festival, and, finally, a three-day-long Oktoberfest celebrated by the state's many German-American citizens. Delaware may not be the country's largest state, but it certainly does not lack fun activities, job opportunities and a mild-to-moderate climate that gives Delaware its unique characteristics. CarMoves.com works with car shipping companies throughout the state of Delaware. We can help you get the best prices on car transport services to the following cities in Delaware: Wilmington, Dover, Newark, Middletown, Smyrna, Milford, Seaford, and many more. If you don't see your city listed, don't worry - we can get your vehicle shipped anywhere in Delaware. Scroll to the quote section on this page to compare free auto shipping quotes from up to 7 Delaware auto transport companies and save up to 50% on your move! View the Delaware Department of Transportation website for more information.